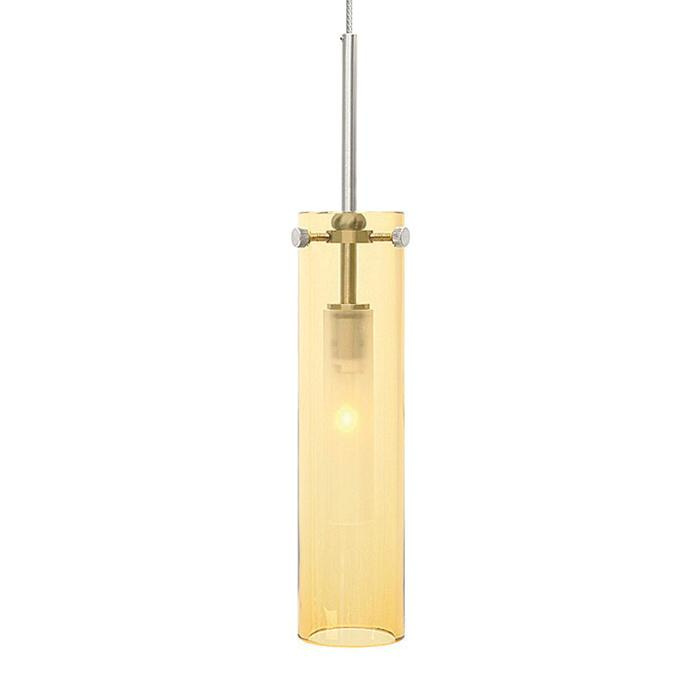 LBL Lighting Top-SI Coax Collection Low-voltage pendant light in satin nickel finish, features metal construction. Opal cased glass shade brings elegance to your interior. This round light includes one 50-Watt GY6.35 Xenon 2-Pin bulb lamp. The GY6.35 socket lamp has voltage rating of 12-Volts. Ceiling mountable light has 72-Inch lead wire for hassle-free installation. Pendant light is ETL listed.